This highly modern and stunning TV Unit is perfect for any Living Room. With a black Metal frame and glass shelves with black finish, this Unit is chic and stylish as well as practical. 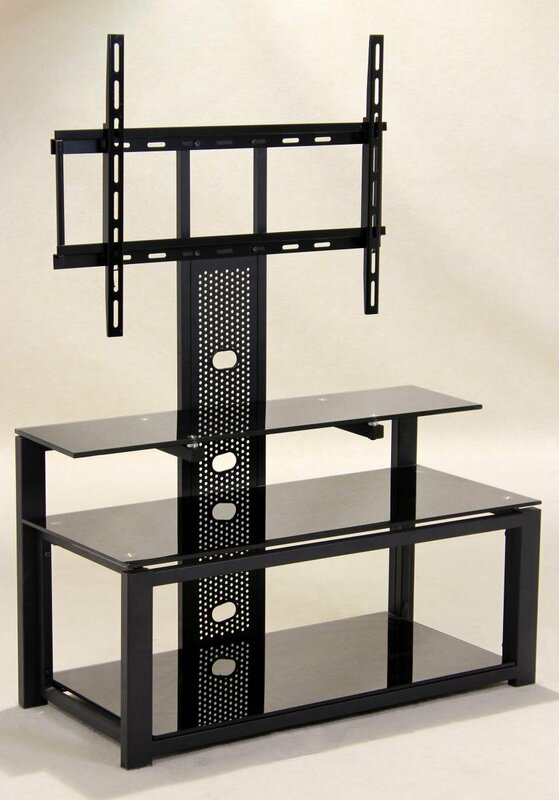 With three shelves, there is plenty of space for all your media players and television frame with adjustable height. Perfect for any home with an impressive Home Media set up.